What’s changing? The ACA’s “employer mandate” (also known as “pay-or-play” rules) imposes new rules on businesses with 50 or more full-time and full-time equivalent (FTE) employees, which the Act refers to as “applicable large employers.” Beginning on January 1, 2015, applicable large employers must offer health insurance coverage to their full-time employees and their eligible dependents or face the prospect of a penalty. Which businesses qualify for tax credits? The ACA provides a tax credit to certain small businesses with no more than 25 full-time and FTE employees that choose to offer health insurance to their employees. The credits are as large as 35 percent today and increase to 50 percent in 2014. Which plans are ‘grandfathered in’? Group health plans that existed on March 23, 2010, and that satisfy certain procedural requirements (“grandfathered” plans) are exempt from some of the ACA’s requirements. What kind of coverage must be provided? Large fully insured plans and self-funded arrangements have wide latitude in designating which benefits to cover, with some limits on out-of-pocket maximums. In contrast, small groups must offer a set of essential health benefits” that are subject not only to a limit on out-of-pocket maximums but also to separate limits on deductibles. 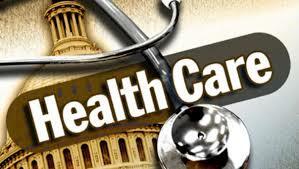 How health insurance exchanges work? The ACA creates public health insurance exchanges or marketplaces to facilitate the purchase of health insurance coverage by individuals and small groups. Coverage choices under the small group marketplace – the Small Business Health Options Program (SHOP) – will be available in 2014 for some state-run exchanges and in 2015 for all state and federal-run exchanges. To learn more about the Patient Protection and Affordable Care Act, check out our free whitepapers on the Health Care Reform.